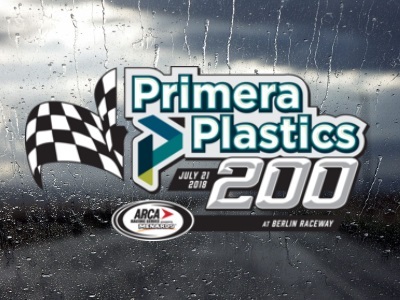 MARNE, Mich. (July 21, 2018) – ARCA Racing Series presented by Menards and Berlin Raceway officials have jointly announced that the Primera Plastics 200 has been postponed due to inclement weather. Forty-five minutes into the first on-track activity of the day, the first and only ARCA practice, rain began to fall on the speedway. The precipitation stopped briefly in the early evening, but returned heavily just prior to the scheduled driver autograph session at 5:30. The rain, heavy at times, continued through the evening, and weather radar indicated that the storm would continue into and past the scheduled start time for the event. “We made every attempt to wait the system out, but it wasn’t meant to be tonight,” commented Ron Drager, ARCA President. Full details for the rescheduled running of the Primera Plastics 200 will be announced shortly, as the ARCA Racing Series will return to West Michigan and compete with several of the tracks weekly divisions on Saturday, August 25. Carson Hocevar, in the No. 35 KBR Development Chevrolet, turned a fast lap of 16.636 seconds/94.782 miles per hour in the abbreviated practice session to earn his first ever General Tire Pole Award in his second series start. Current series championship leader Sheldon Creed, driver of the No. 28 United Rentals Toyota, will start second after he turned a lap of 16.880 seconds/93.412 miles per hour. Hocevar from nearby Portage, Michigan, was presented the General Tire Pole Award after the abbreviated practice session. Series officials then set the starting line-up per practice speeds as outlined in the ARCA rule book. Riley Herbst, driver of the No. 18 NOS Energy/ORCA Coolers Toyota, was third at 16.926 seconds/93.158 miles per hour; last week’s winner Gus Dean, driver of the No. 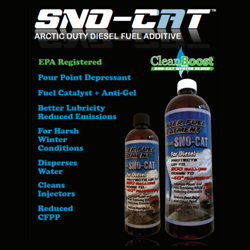 32 GREE Cooling Products/Baker Distributing Chevrolet, was fourth at 93.065 miles per hour; and Chandler Smith, driver of the No. 20 Craftsman Toyota, will start fifth after turning a lap 16.999 seconds/92.758 miles per hour. Christian Eckes, Zane Smith, Chase Purdy, Travis Braden, and Bret Holmes will round out the top ten starters. The ARCA Racing Series presented by Menards returns to action next Friday with the ModSpace 150 at Pocono Raceway. Practice is scheduled for 9 am ET, with General Tire Pole Qualifying to follow at 1 pm ET. 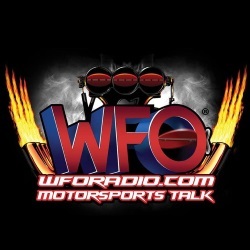 The green flag will fall on the 60-lap/150-mile race at 4 pm ET; the race will be televised live on FS1 while ARCARacing.com will have live timing, scoring, and track updates for registered users.